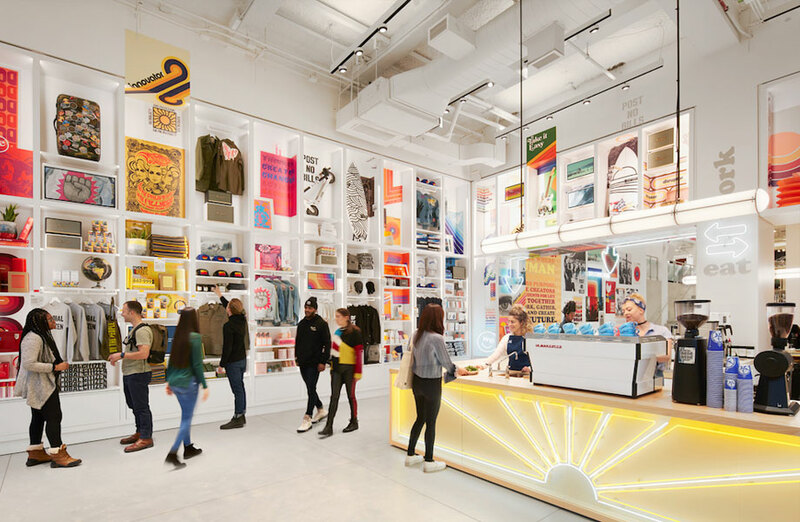 Global co-working and office space provider WeWork, owned by the recently renamed The We Company, has launched its first retail venture Made by We in New York City. The $20 billion global co-working giant, which boasts over 400,000 members, has close to 400 share spaces around the world and offers companies of all sizes the ability to embrace flexible workspaces. The company’s new retail offering Made by We, which offers 100 bookable workplace seats on-demand will also offer snacks, apparel, travel, and workday goods created by WeWork member companies. The bookable cafe setting will be one of the first of its kind allowing WeWork members to network while engaging in a marketplace atmosphere and a shared economy. The company's first location, 902 Broadway in New York’s Flatiron district, will showcase self-described “Australian-inspired” coffee chain Bluestone Lane. Bluestone Lane, which began as a hole-in-the-wall location in Midtown six years ago and has grown to include 35 locations across the United States, all influenced by Melbourne's coffee culture. "Like The We Company, Bluestone Lane was born with a vision to bring people together and build human connection,” Bluestone Lane founder Nick Stone said. The announcement comes in the wake of WeWork's expansion plans, including a rebranding on the back of its latest funding round. Earlier this month the company secured $2.8 billion in new funding from Japan’s SoftBank. “Everything we do at The We Company, from the spaces we curate to the service offerings we provide, is intended to create meaningful human connections,” WeWork partner Julie Rice said. The co-working space provider has been increasingly active in the Australian market, recently securing a 12-year lease at the ANZ tower in Sydney's CBD. The deal marked WeWork's eighth Sydney location, with five active locations and a further three planned, as the co-working space provider continues to capitalises on solid demand for office space. WeWork also secured its first Melbourne capturing six-storeys of Melbourne’s London Stores building at 152 Elizabeth Street, to house up to 700 members. The company also inked a deal with Daisho Properties, taking out a lease at 310 Edward Street right opposite Brisbane’s Central Station.